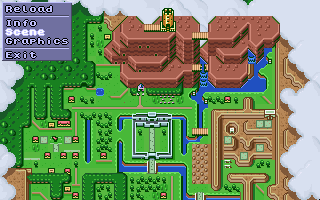 This utility helps in making maps of the levels in all those classic games. Eventually, it will be the digital equivalent of a player’s guide with all the secrets revealed. For now though, it displays the frozen scene of a ZSNES savestate, exports the scene without HDMA effects or mode 7 distortion, exports VRAM graphics, and tells technical info about the registers. There are a few cases where the scene is not displayed correctly, not because of a flaw in the rendering, but because certain games split the screen into different sections. Since BgMapper is not an emulator and only shows the frozen state, it displays just the section of the frame for when the state was saved.